Bestselling and most widely used bulk product. Eco friendly and all organic. Cost effective and can be used in almost any situation – commercial potting mixes, home gardens, growers and greenhouses etc. 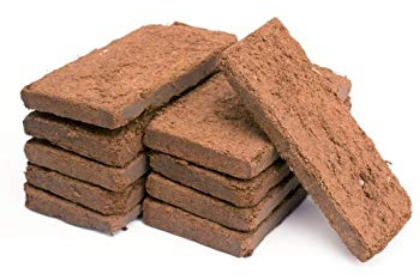 This coir pith is the perfect growing medium. Produced by cutting dry coconut husks in to small cube shaped pieces. 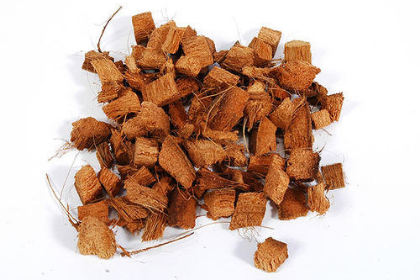 Coir husk chips can be added to coir peat to increase the air porosity and water holding capacity. It also provides excellent drainage and nutrient holding capacity and is fungi resistant. Eco-friendly, ready-to-use coco peat based potting soil. Exceptionally low in salt. 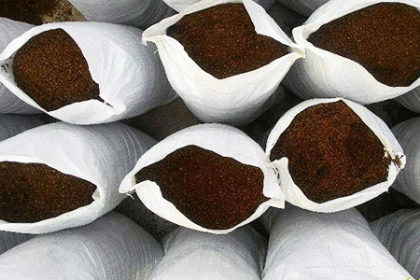 This peat based hydroponic soilless media is engineered to allow gardeners to feed heavier for greater yields. Great for hydroponic applications and container gardening. 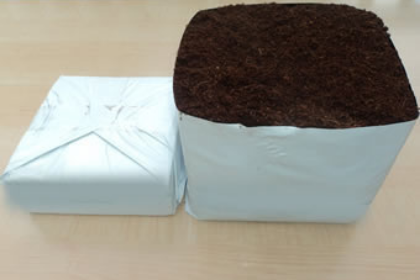 Peat grow bags are used as plant substrates for soil less cultivation. Largely used in greenhouses. These bags are great for tomatoes, pepper, cucumber, strawberries and cut flower production. We are able to meet customer’s specific needs in dimensions, expanded volume, as well as physical structure of the product to ensure required water and air holding capacities, part distribution etc. 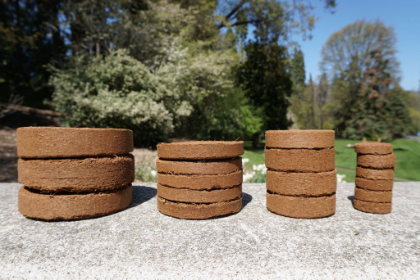 Compressed discs are made from our same high-quality coco coir peat. Eco-friendly and all organic. They are great for filling small pots at home or for commercial use. Can be custom made to fit into retail “all-in-one” flower packing. The discs are ideal products for planting seeds and seedlings. Easy to handle size and popular among the home gardeners. 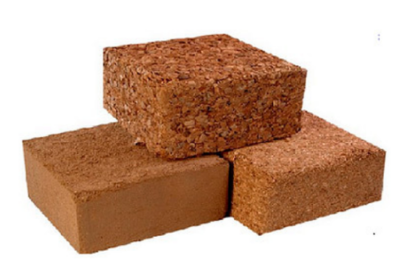 Briquette is the ideal and handy retail pack for: home gardening, horticulture, hanging baskets, farms, greenhouses, hydro seed spray, landscape, substitute for potting soil, etc. 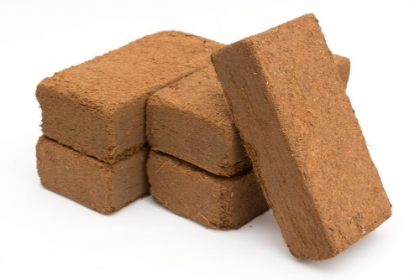 The coir squares are pH balanced, eco-friendly growing medium. Provides excellent air space and water holding capacity. These compressed bricks are easy to handle and store. Holds between 8 and 10 times its volume in water.